That was an amazing thing your daughter did! I've had plantain chips before, of course never made them myself got them from a packet while in Jamaica lol! I may try myself after seeing this - thank you. This recipe looks so tasty. I love the plantain chips that go with it. I think it's wonderful that your daughter went to volunteer, what a great cause as well. 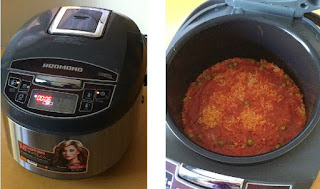 I'm really intrigued by the multi cooker, initially I thought it was a rice cooker but it looks like a great kitchen tool! Never tried anything like this! Looks amazing :), especially the fried plantain chips. The rice looks delicious I'm a huge rice lover but not that great at cooking it but hopefully I can make this. I'm not so sure on the plantain as I have never tried it before. This looks so tasty! I'm passing this recipe onto my boyfriend! I've been looking at multi-cookers and wondering if I could use one in my kitchen. It is really useful to hear about your experience with one. What a lovely sounding recipe! Sounds rather easy to make too, which I like! I wish our local shops sold plantains though - I've only ever tried them once! I love that you are getting the whole family involved in your daughter's trip to Ghana and exploring the culture by way of food. So delicious! Oh wow, African food is a big mystery to me, I'd love to try this! 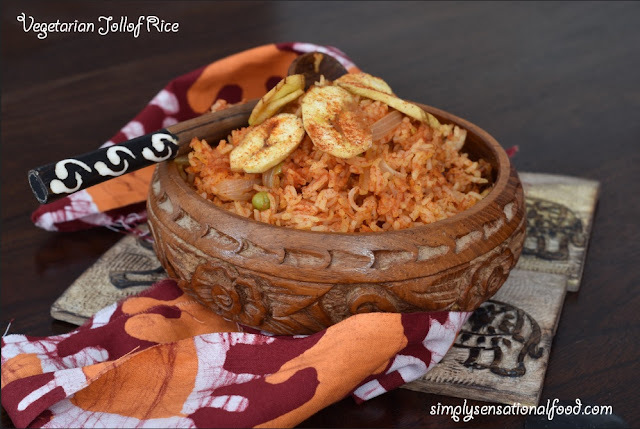 Rice is a staple food of the earth! I've just learned an new dish from your good works. 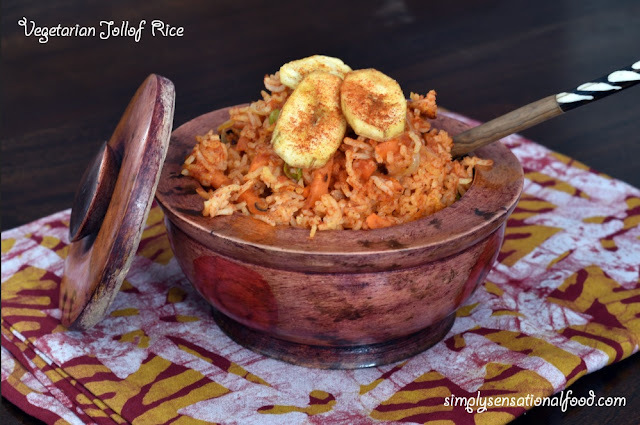 What a delicious sounding recipe and love the crispy plantain on top for added texture! 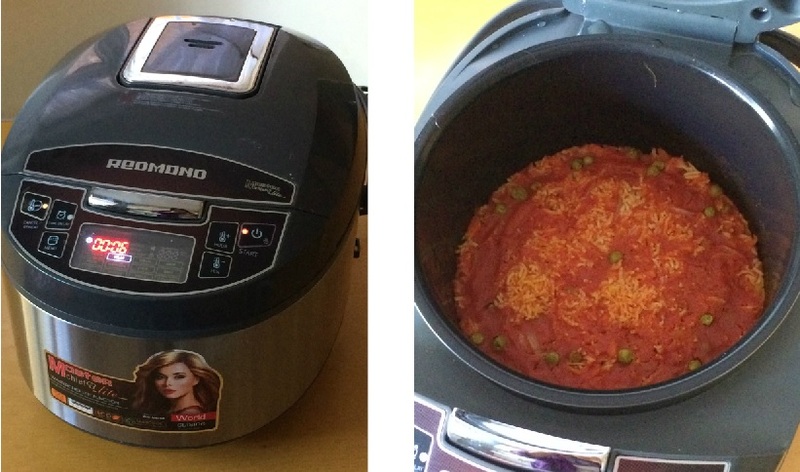 Your multi cooker sounds (and looks) great. I have been meaning to get one for a while. And hats off to your daughter,,she sounds fantastic! This looks amazing! I bet the make such good homemade food! This looks great - especially those fried plantain chips!! 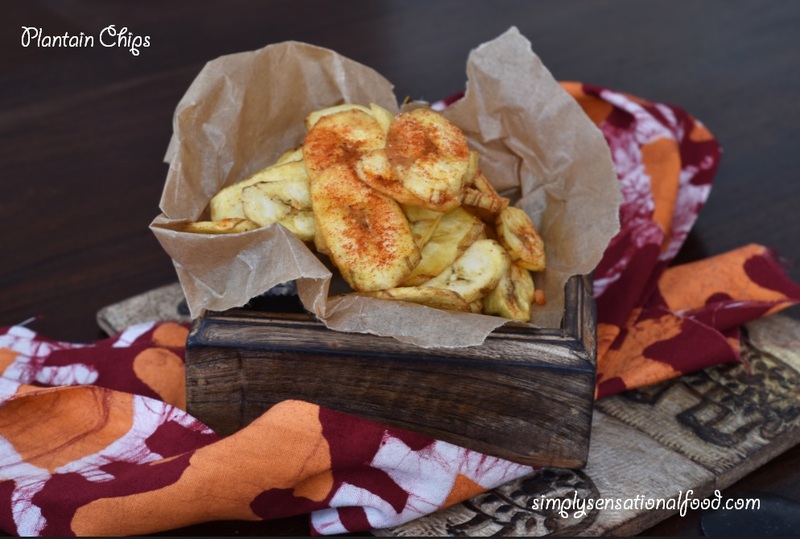 Love the idea of plantain chips, I would very much like to try them as I've never had them before. A lot of non-Europe countries do great veggie dishes, don't they?! I have noticed a vegetarian trend outside of the US and Canada mostly. Your daughter did such an amazing thing, you must be so proud of her. 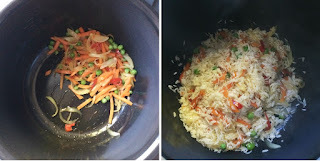 veggie dishes in poorer countries are always more abundant. I wish I could easily get hold of plantain as I'd love to try cooking with it. What an incredible experience for your daughter, and that rice dish sounds delicious. Love the plantain crisps on top too! Yum. It sounds like an amazing trip! The rice looks so good too. This dish looks and sounds amazing! I love plantain! 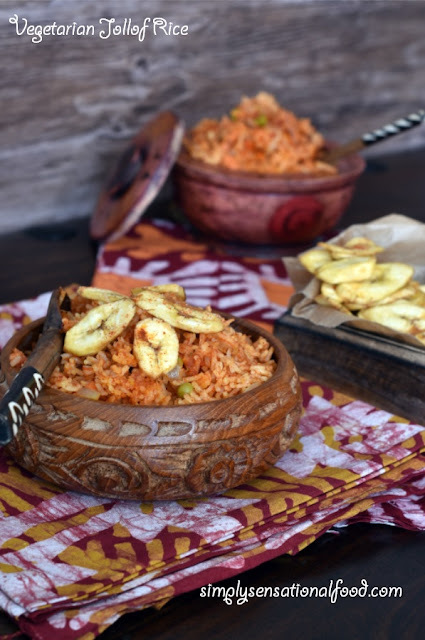 I love the idea of this, I'm a huge fan of veggie rice, and I've never tried plantain. That bowl is beautiful! The food looks and sounds amazing too - I've never tried plantain chips before. Oh my.. that dish looks so delicious! and what an amazing experience for your daughter. That looks like a delicious meal and truly authentic as well. I love plantain. 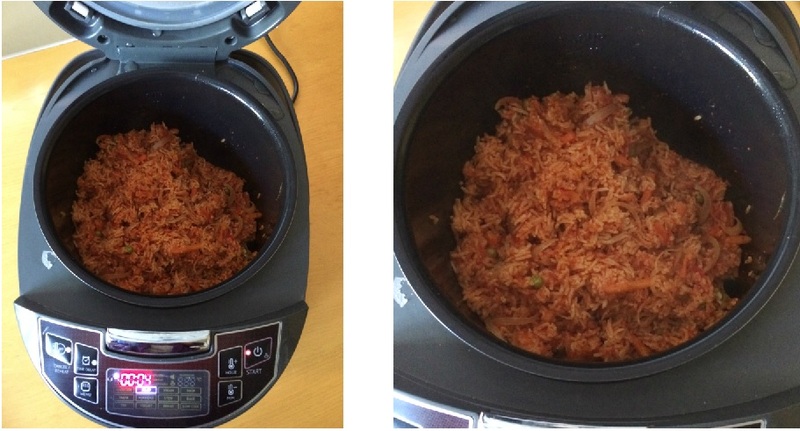 The rice sounds delicious and a great experience. This looks delicious! I bet Patti would be proud of you. Love that bit of African fabric! I admire that students in UK get the opportunity to go and work in other countries. This way not only do they help other fellow humans but also its an eye opener for them as to how the rest of the world is. Delicious rice and with fried plantains, who can resist.